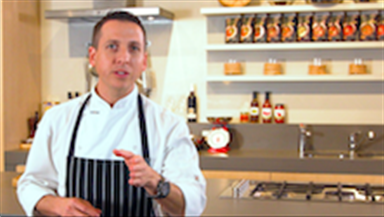 Glenn Flood is a chef with over 20 years of diverse industry experience. He has worked across the globe honing his craft, ranging from the ski fields of Canada to five-star hotels, corporate boardroom and a la carte dining, and Michelin-starred restaurants in Europe. All this alongside consultancy work, food media, and keynote presentations. He specializes in culinary leadership, sharing his journey and stories to develop better leaders – in the kitchen and in business. With a thirst for knowledge and a passion for watching others excel, Glenn has forged a path into management and leadership with some of the largest contract catering operations in the Southern Hemisphere. Currently, he works on food strategy across a portfolio of 330 hotels and pubs, coaching a chef brigade of over 1100, who serve over 18 million customers a year. Glenn has worked alongside some of the world’s best chefs, including Heston Blumenthal, Marco Pierre White, Thomas Keller, René Redzepi, Curtis Stone, George Calombaris, Gary Mehigan and Neil Perry, to name a few. 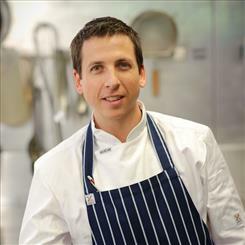 He was the training and development chef with Jamie Oliver’s Fifteen Melbourne, a social enterprise which had a profound impact on its participants, where he recruited and trained disadvantaged youth in kitchen and life skills. He also recruited Australia’s MasterChef judges and worked as the hit show’s food producer. Additionally, he was responsible for running the test kitchen on the first season of Junior MasterChef Australia, training and inspiring the next generation of young cooks. Glenn has created a course with Typsy that he describes as “the course I wish I had access to as I moved into more senior kitchen roles.” Through his training, you will refine your communication skills, develop awareness of your management style, learn how to identify gaps that are holding you back, and unpack the knowledge and skills you need to progress.